Volkswagen’s Dieselgate settlement with American owners of its cheaty diesel cars will cost the company more than $15 billion, or five billion dollars more than was originally reported, according to Bloomberg. More than $10 billion of that is slated just to go to Volkswagen owners. 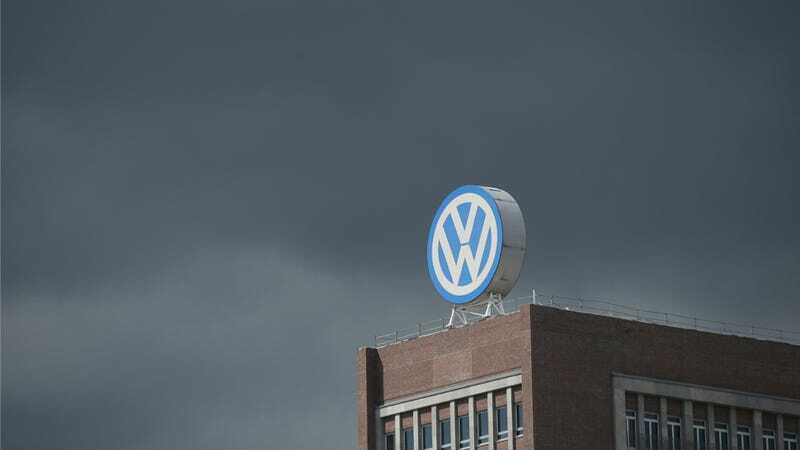 The reported settlement also leaves less than $3 billion left over in Volkswagen’s initial Dieselgate fund for pending legal actions and investigations in the rest of the entire world. Car owners will get a total of $10.03 billion, which covers both the value of their vehicles before the scandal became public last September and compensation payments of as much as $10,000 apiece, two people familiar with the negotiations said. Those figures could rise if VW misses certain repair deadlines. The compensation figure jumped over the past few days, these people said, as the parties changed their estimates on what it would take to get some 85 percent of owners to trade in their vehicles under the settlement. The rest of the settlement includes $2.7 billion for the Environmental Protection Agency and the California Air Resources Board, and an additional $2 billion for research into clean-emissions technology, Bloomberg reported. There’s a further settlement with individual states as well, possibly to the tune of another $400 million. There’s also no exact timetable yet for when any of this will come to fruition, or how VW owners will be able to make a claim for their cars. But as we said earlier today, this is definitely not the end. There are still multiple lawsuits pending in many different countries, along with pissed off shareholders and regulators. Not to mention any lingering depression in sales that can be attributed to the scandal.